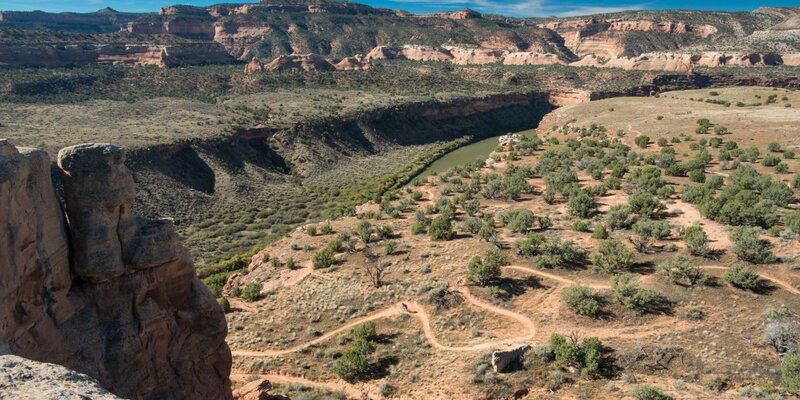 While well-known destinations such as British Columbia and Utah's Moab may consistently rank among the West's most popular mountain biking destinations, smaller and lesser known areas frequently provide riding that is just as phenomenal without the crowds. Going small on a mountain biking trip need not compromise the quality of your rides; sure, you may not have the same selection of pubs and restaurants to hit after a ride, but you'll have so much good riding that you won't care anyway. Such is the case with the Western Colorado mountain biking capitals of Grand Junction and Fruita. While neither is exactly undiscovered terrain for mountain bikers, the fact is that these communities receive a fraction of the traffic that more established mountain biking destinations receive, and the riding simply superb. Just 20 minutes apart by car, these two towns offer a huge selection of trails to meet and exceed the hopes of any rider, regardless of skill level and experience. Trail networks built on rolling hills or constructed around massive canyon formations will keep you entertained for days, so making a longer stay part of your agenda is well within reason. So check out the Fruita and Grand Junction rides, start your vacation scheming, and be sure to share your comments and photos when you return! Kessel Run: Great, short loop for beginners. Joe's Ridge: A thrilling ride for a more adventurous appetite. This ride has a steep descent section with no walk-around, so be prepared to take the speed! Zippity-Do-Dah: One of the original trails in the system, Zippity is a black diamond loop that doesn't disappoint. PBR: Pumps, Bumps and Rollers is aptly named; this is another great choice for beginners and young riders. 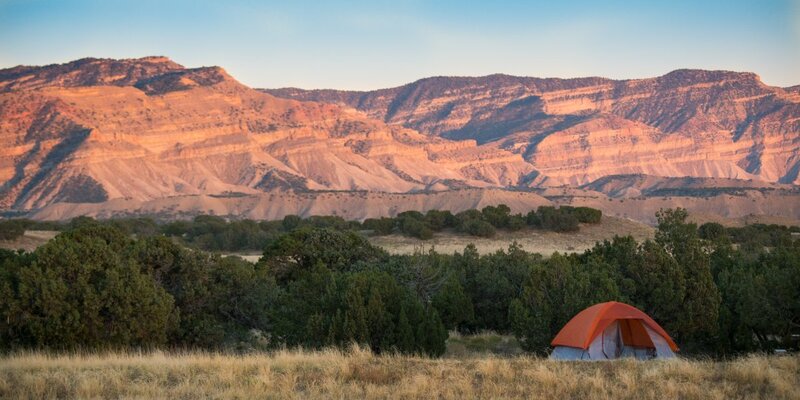 Don't forget to check out the North Fruita Desert Campground if you are looking to camp near the 18 Road Trails. Photo by Stefan Myers. Mary's Loop: 5.6 miles of great riding and gorgeous views of the Colorado River below. Mack Ridge: A connector trail that has evolved into a worthy trail in its own right, Mack Ridge is easy to hit off of Mary's Loop. Rustler's Loop: This easy loop is great for warm-ups or for building confidence. Horsetheif Bench: A notorious drop begins this legendary ride; many a rider has cut their day (or week) short after attacking this entrance. No shame in taking it easy as you ride one of the best loops in this trail network. Steve's Loop: A ride with exposure is a must in this area, and this loop has plenty. Ride along the rim of the canyon, just don't get too distracted by the view. Horsetheif Bench. Photo by Stefan Myers. The Ribbon: This trail provides an unforgettable perspective on the area's slickrock and the nearby Colorado National Monument. Andy's Trail: A continuation of The Ribbon, this technical trail is a challenge that yields plenty of rewards once you're finished. Curt's Lane + Miramonte Rim Loop: A few technical challenges and some climbing are rewarded by some great singletrack, downhill, and of course, big views.